The true story of Bill and Tricia Moser, who were living in one of America's wealthiest communities when they stepped away to lead a horse-and-buggy Amish life. Order Becoming Amish on the BecomingAmish.net website and receive a 25% discount. No more BMWs. No more architectural or medical careers. Instead, the Mosers drew close with their children, built pallets for money, wore homemade clothes, and bonded with people of their Amish faith and community. Here, in Becoming Amish, they offer a modern couple's honest perspective on that separate and seemingly cloistered world, a perspective that is uniquely both insider and outsider. The Mosers' journey is rich and fascinating all on its own as we learn about the inner workings of the Amish faith, ways and culture—what their church services are like, how their businesses succeed at such a high rate, how they are so remarkably connected on a human scale (without Facebook! ), how they balance technology in their lives, and more. But though the couple's decision can seem extreme, it can also serve as a mirror that helps us reflect upon our own choices, our own beliefs and values. If we were to be as intentional about our lives, how would we realign our choices big and small to achieve a fulfilling life? 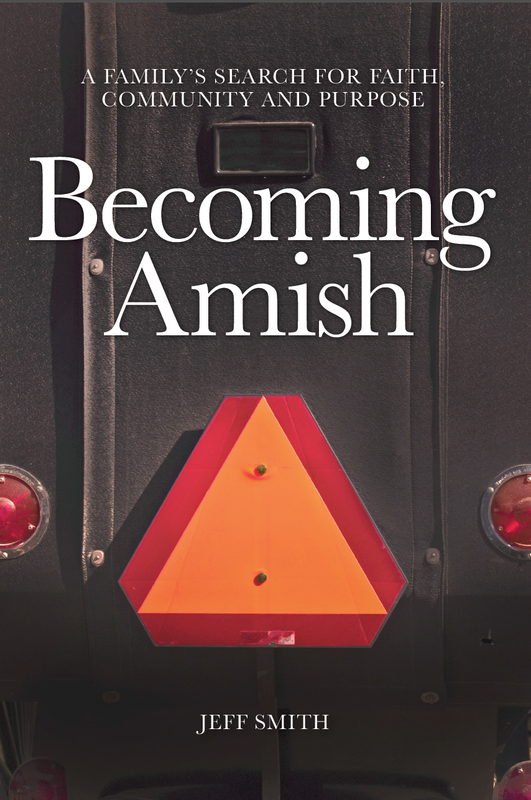 Stream it: Lester Graham, of Ann Arbor–based NPR affiliate Michigan Radio, discusses Becoming Amish with Bill Moser and author Jeff Smith. Stream it: Robin Young, host of the nationally syndicated NPR show Here & Now (WBUR, Boston), interviews Bill Moser and Jeff Smith to discuss Becoming Amish. The book rounds out the Mosers' tale with interviews, vignettes, and information that adds context, perspective and insight into the Amish faith and culture. The reader learns of a startlingly violent book—published in 1660—that is central to this pacifist people’s belief and is in nearly every Amish home. The reader visits a “plain” community in the hills of Kentucky—a community that lives even more simply than most Amish—to discuss “the whys” of a low-technology life and faith. The reader contemplates an interview with the Lutheran minister who helped lead the Supreme Court case back in 1972 that allowed the Amish to pull their children from public school after 8th grade—what compelled him to do that? As the author, I wanted to share this remarkable story in a readable, clear and compelling way, and equally important, I wanted this story to "stay with" people. The Mosers' journey is a tale that deserves to live on, a rich and provocative version of the American dream. I hope you like the book! Please share your reaction with me at becomingamish@gmail.com.